DPLA Adds New “Primary Source Sets” For Grades 6-12 and Higher Education (Infodocket) – These sets are designed for students and teachers in grades 6-12 and higher education. S.F. library rolls out Biblio Bistro for lessons on cooking (SF Gate) – Yes, you can incorporate cooking healthy food into a library program. This is inspiring! California: LA Public Library Launching a Two-Week Valentine’s Day Themed Amnesty Program For Overdue Materials (Infodocket) – This is an innovative library amnesty program. *UPDATE* Wisconsin: Committee OKs bill expanding library powers (KSL) – Bill allowing police involvement for overdue books clears another hurdle. Iowa: In Dubuque, no ‘Appraisal’ worth losing Wood’s works (TH Online) – Library turns down $6 million for painting in collection. Canada: What happens when you find a long-lost violin concerto in a library basement? (CBC) – A concerto is by the Norwegian found in the collection of Canadian violinist Kathleen Parlow. Amid Controversy, Scholastic Pulls Picture Book About Washington’s Slave (NPR) – This article discusses the other side of history that exists amidst claims of whitewashing the topic of slavery. Penguin Random House Ebooks Now Licensed for Perpetual Access (American Library) – No more limits on the time period or number of circulations for Penguin Random House content. But the pricing is a different story. U.S. Department of Commerce Recommends Amendments to Statutory Damages Provisions in Copyright Act (USPTO) – A new white paper looks at some of the issues connected with current copyright law such as remixes, first sale doctrine and the complicated issues of infringement and statutory damages. About once a week, I post links to digital-related library news articles and information about digital collections available online. I also post other links of interest about the digital life daily on the Google Plus eBook Evangelist Page. 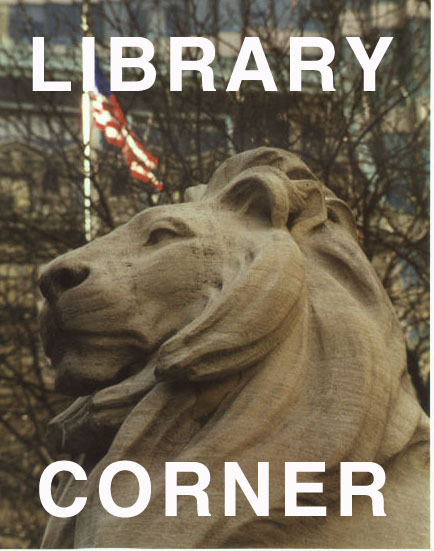 This entry was posted in Library Corner and tagged Cancer, climate, copyright act, cost of library ebooks, DPLA, election, fines, overdue book fees, Penguine Random House, public art, shakespeare. Bookmark the permalink.